In a major turn in the ongoing civil war in Yemen, former President Ali Abdullah Saleh has reportedly been killed in fighting against his former allies in the three-year old war, the Iran-aligned Houthi militia. Clashes broke out between fighters allied with the armed Houthi militia and those in Saleh’s General Peoples Congress over the weekend. Tensions between the two sides in the uneasy alliance against the Saudi-led Arab coalition have been simmering for some time over control of Yemen’s capital, Sanaa, as well as over money, according to reports. 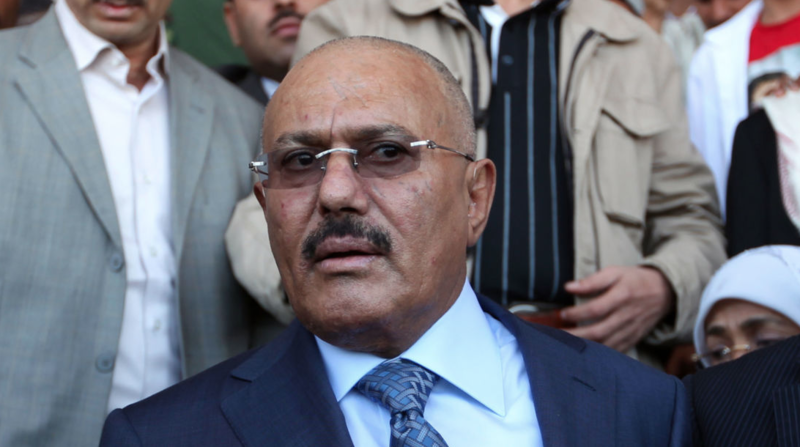 But it was likely a recent decision by Saleh to open talks with the Arab coalition that lead to the breakout in fighting between his forces and the Iran-backed Houthi militants over the weekend. Saleh said on Saturday he was ready for a “new page” in ties with the Saudi-led coalition fighting in Yemen if it stopped attacks on his country, a move that could have paved the way to end nearly three years of war. 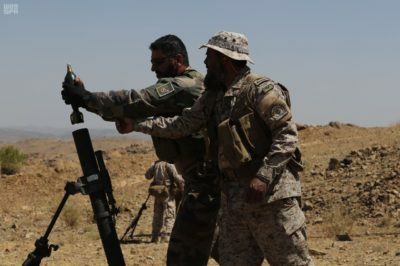 Hours after Saudi Arabia threw its support behind Saleh, the rebels announced that they had killed Saleh and said the country’s war-torn capital was united under their Iranian-backed insurgency, according to reports. Circumstances surrounding his death are still unknown. According to the AP and CBS News, Yemen’s Interior Ministry, which is run by the Houthis, said Saleh had been killed in fighting in Sanaa. A video posted online, available here (warning: graphic content) shows his dead body, with his eyes open and much of the back of his head missing, being loaded onto a colorful blanket and placed in the back of a truck. Officials from various sides, including the Houthis’ opponents, have confirmed that the video shows the former powerful president. Yemen’s civil war has threatened the Saudi border. The breakdown of the fragile alliance between the Houthis and Saleh’s forces led the U.S.-backed, Saudi-led coalition to step up its bombing of Houthi positions last week in support of Saleh’s forces. Meanwhile, an in-depth feature in today’s New York Times questioned whether the Iranian-made ballistic missile fired last month at the Saudi capital was actually shot down by Saudi Arabia’s missile defenses, as Saudi and U.S. officials have claimed.